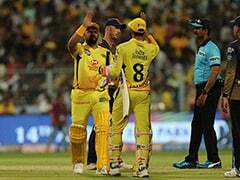 IPL 2019, Kolkata Knight Riders vs Chennai Super Kings: KKR scored 161/8 in 20 overs. 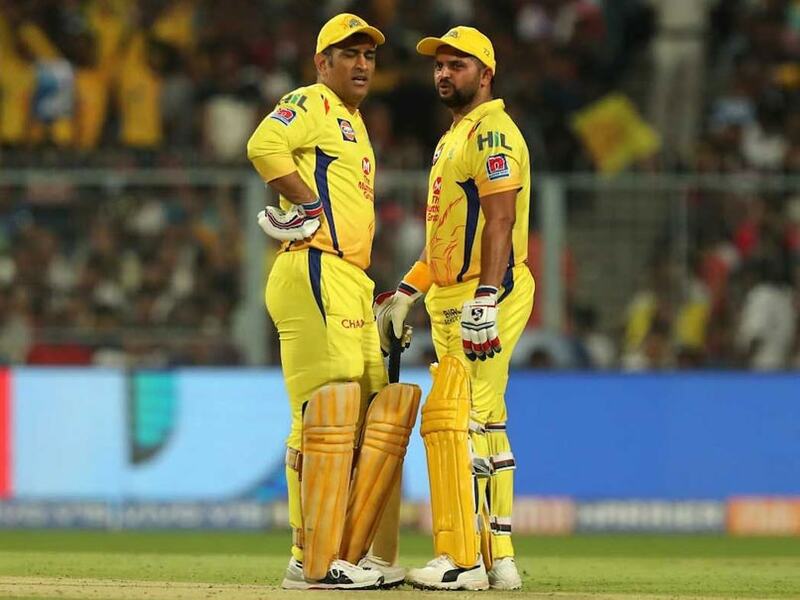 IPL 2019 Highlights Updates between Kolkata Knight Riders vs Chennai Super Kings, straight from Eden Gardens, Kolkata. This brings an end to a thrilling contest between Kolkata Knight Riders and Chennai Super Kings in Kolkata. Thank you for joining us for the live coverage of match 29 of IPL 2019. Chennai Super Kings win by 5 wickets. 2 runs needed from 3 balls now. Jadeja plays it late and opens the face of the bat in the third man region. He has now 4 boundaries in a row. CSK now need 4 runs to win from 5 balls. Piyush Chawla will be bowling the final over. 16 runs were scored in Gurney's over. CSK are 154/5. They need 8 runs to win from 6 balls. Jadeja hits hat-trick of boundaries as he gets his 4th boundary in the deep backward square leg region. Back-to-back boundaries for Jadeja. He gets a leading edge in the deep backward point region. 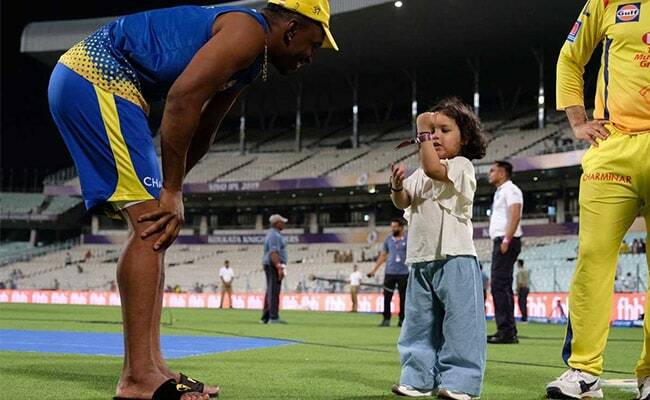 CSK need 19 runs from 10 balls. Jadeja hits the ball straight down the ground. Harry Gurney will be bowling the 19th over; his final over. 8 runs were scored in Sunil Narine's over. CSK need 24 runs to win in 12 balls. Raina clears his front leg and gets a boundary between deep mid-wicket and long-on. CSK are 130/5. They need 32 runs to win from 18 balls. Krishna bowls one down the leg-side. Jadeja drives the ball towards long-off to get his 1st boundary. Suresh Raina brings up his 36th IPL half-century. Prasidh Krishna will be bowling the 17th over. CSK are 121/5. They need 41 runs to win in 24 balls. Ravindra Jadeja is the new batsman at the crease. Narine strikes! He traps MS Dhoni in front of the wicket. Dhoni went for the review. Replay shows that the ball was "hitting" the leg stump. Sunil Narine will be bowling the 16th over. 15 overs have been bowled. CSK are 120/4. They need 42 runs to win from 30 balls. Raina gets his 6th boundary in the fine leg region. Harry Gurney has been brought into the attack by Dinesh Karthik. CSK are 109/4 after 14 overs. They need 53 runs to win in 36 balls. Raina is batting on 40 whereas Dhoni is unbeaten on 13. The Raina-Dhoni pair has added an unbeaten 28 runs for the 5th wicket. Raina hits the ball straight down the ground and gets his 1st maximum. Raina opens the face of the bat and gets his 5th boundary in the third man region. 13 overs have been bowled. CSK are 96/4. Raina is batting on 28 whereas Dhoni is unbeaten on 12. Dhoni hits his 1st maximum over long-on. Piyush Chawla gave away just 2 runs and took the wicket of Jadhav. CSK are 83/4. They need 79 runs to win in 48 balls. MS Dhoni comes in to bat at number 6. Chawla strikes again! He traps Jadhav in front of the wicket. CSK are 81/4 in 11.1 overs. Jadhav gets his 3rd boundary as he clears the ball between long-on and deep mid-wicket. Jadhav hits his 1st maximum. He clears the ball in the deep mid-wicket region. Chennai Super Kings are 70/3 after 10 overs. Back-to-back boundaries for Jadhav. He opens the face of the bat quite late towards third man. Jadhav goes inside-out towards the deep extra cover region.